Which Russians had their ‘eureka moments’ while asleep? Thanks to dreams James Watson discovered the structure of DNA, the Dane Niels Bohr created the planetary model of atomic structure and Elias Howe invented the sewing machine. RBTH recalls seven brilliant Russian discoveries made while sleeping. The Russian chemist had not been able to place the chemical elements in the right order for a long time. In one of his dreams he saw the Periodic Table, in which the chemical elements were distributed according to their increasing atomic weight and not in the decreasing manner, as he had originally thought. "I can clearly see in my dream a table in which the elements are distributed in the right way. I woke up, wrote it down on a piece of paper and went back to sleep. Later I needed to make a necessary change only in one place," Mendeleev told reporters, describing his discovery. 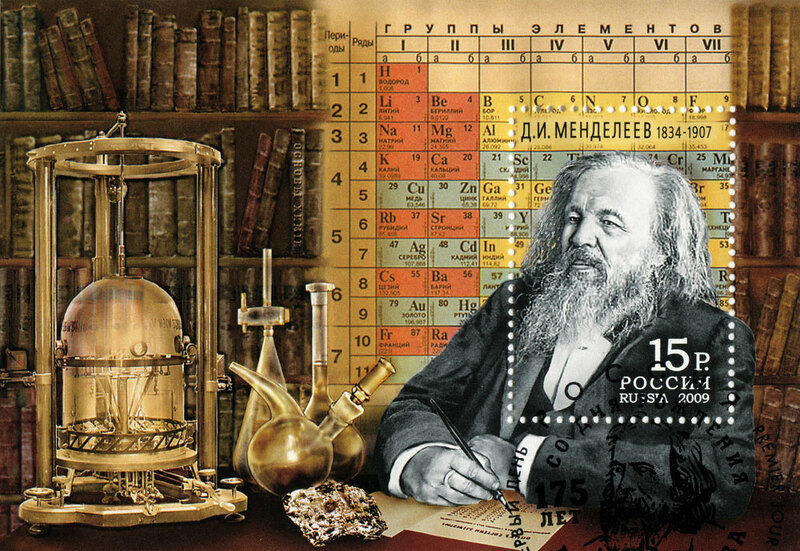 In 1869 Mendeleev created the final version of his Period law of chemical elements. In 1820, while in Persia, Russian diplomat Alexander Griboyedov saw the future fragments of his masterpiece drama Woe from Wit in a dream. Waking up, he immediately wrote a letter back home in which he reproduced from memory several scenes from the first act. Griboyedov described the idea for the comedy thus: "A smart girl prefers a fool to an intelligent man. Obviously, this man will be in confrontation with the society that surrounds him…"
Woe from Wit was first published posthumously in 1833 and is one of the most cited works in Russian literature. Many of the play's phrases have become household expressions: "Happy people don't look at the clock," "And who are the judges?" among others. The comedy has been translated into 25 languages, including English, German, French and Italian. In 1880 the great composer spent his first summer in the Russian village of Stelyevo. There he worked on his opera The Snow Maiden, which later would become a hit in Paris, New York, Berlin and Rome. According to his recollections, "even during my sleep melodies would swim up from the subconscious." He admitted that no other work had come to him so quickly and so easily as The Snow Maiden. The opera premiered in St. Petersburg in 1882 at the Mariinsky Theater. The famous aircraft designer used to remember how long it had taken him to create the form of the Antei plane tail. "I thought, calculated, drew, but just wasn't getting anywhere. Then one night, as I was dreaming, the plane's tail clearly appeared before my eyes. It was unusual in form. I woke up, turned on the light, drew the strange construction on a piece of paper and went back to sleep. When in the morning I saw the drawing, I was amazed: Why hadn't I thought of it before?" In 1965 the Antei was presented at the Paris Aviation Salon as "the biggest airplane in the world, capable of carrying 720 passengers or lifting 80 tons of cargo." According to the great poet himself, his best poems Licinia and The Prophet were written in his sleep. There was a joke in Pushkin's time that the Decembrists (aristocratic revolutionaries who rebelled against the tsar in 1825) had not accepted the poet among them because he used to write in his sleep. Pushkin's biographers recall that on the eve of the revolt Pushkin dreamt of losing five teeth. In the morning the Decembrists were arrested, and five of them, the poet's friends, were executed several months later. Italian-born Russian architect Carlo Rossi built the Mikhailovsky Palace in St. Petersburg especially for Emperor Paul I's son Michael. Legend has it that Rossi saw the project in his sleep and in the morning clearly understood that the palace had to be built in the style of High Classicism. The architect is considered the creator of the Russian Empire style. Among his most celebrated works in St. Petersburg are the Alexandrinsky Theater and the General Staff Building on Palace Square. In 1895 the Mikhailovsky Palace was turned into the Russian Museum. In his book Around Chekhov the writer's younger brother Mikhail relates a certain episode: "In Melikhov Anton Pavlovich's nerves would suffer from over-exhaustion. As soon as he'd fall asleep, he'd be 'yanked.' He would awaken in fear and some kind of strange force would toss him up on the bed." During one of those days Chekhov had a horrible dream about a monk, which would become the main plot of the famous novella, The Black Monk. "The impression was so strong that my brother Anton continued speaking about the monk for a long time, until he finally wrote his famous story about him," wrote Mikhail Chekhov.